July is the seventh month in Julian and Gregorian calendar. 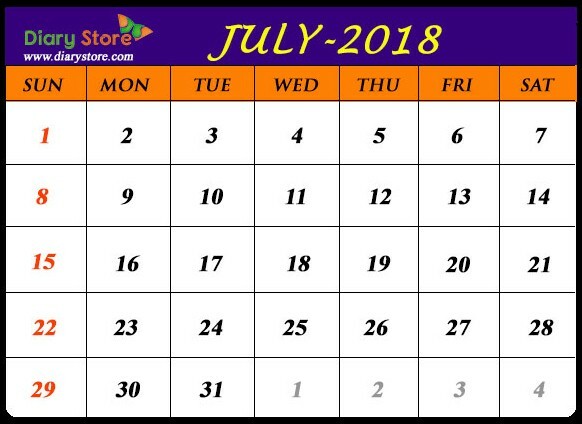 The month of July consists of 31 days like its predecessors March and May. The month of July has been named as a token of honour to the Roman Emperor Julius Caeser whose birth was recorded to have occurred in the same month. The month was of July was earlier called “Quintillis”. July is the warmest month in many parts of northern hemisphere, being the second month of summer. Conversely, being the second month of winter in southern hemisphere, July is the coldest month in the most parts of the region. In certain Asian countries, the end of second week in July bids farewell to summer and the third week witnesses the thunder showers.